Conferences tend to be rather staid affairs that are rigidly structured by lovelessly adumbrated agendas. Pre-planned panels and speeches dominate those agendas. Thus, when someone goes off-script somehow, the results are bound to be fascinating. 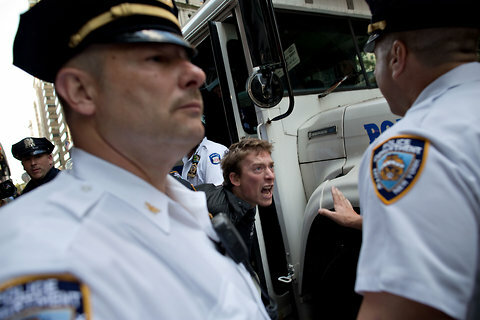 What will it take for #Occupy to enter the mainstream political conversation? Early this morning protesters gathered down on Wall Street near Zucotti Park to not just commemorate, but reinvigorate the Occupy Movement. Contrary to popular belief, Occupy itself didn’t actually die down on it’s own volition, but was instead shut down by the police.